This photo session was a blast! It inspired me tremendously. Carmen & Mike´s free and joyful spirit was a pleasure to capture from the beginning. The first thing Carmen said when we got to the beach at The Cape Hotel, was that she wanted to get in the water. This was music to my ears! 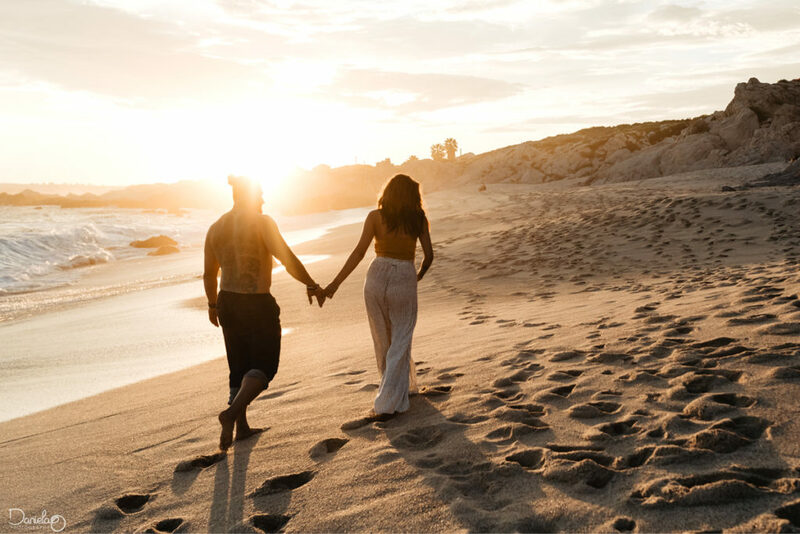 As a wedding photographer in Cabo I also enjoy taking photos for many different things, couples photo sessions at the beach are one of them. It feels good to explore other types of photography. Don´t get me wrong! I adore taking photos for destination weddings! But branching out fuels my creativity. Carmen & Mike have been happily married for a while now and they wanted a photo session… why? Just because! Because you don´t need an excuse to get your life captured… to get your life, as it is right now, frozen in time so you can go back and remember. I can´t think of a better way to spend my life than capturing these moments and this love. Plus… sandy feet and salty hair! I swear my inner child gets so happy when couples are willing to get wet in the ocean. Being able to photograph such intimate moments was incredibly addictive… I want more! I am so inspired and thankful that I decided to have a little photo session GIVEAWAY contest! You can find out more in my Instagram account for wedding photography. Thank you Carmen & Mike for sharing your love.